Rainbow Animal Hospital is a full-service veterinary medical facility, located in Las Vegas, Nevada, that has been family owned and operated by a local veterinarian for over 31 years. The professional and experienced veterinarians at Rainbow Animal Hospital seek to provide the best possible medical, surgical, and dental care for our highly-valued patients. Our veterinary clinic is fully equipped to provide emergency care during our operating hours, along with offering vaccines and preventative care for our healthy patients. We are committed to promoting responsible pet ownership and health-related education for our clients. 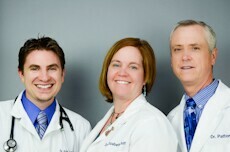 Rainbow Animal Hospital strives to offer excellence in veterinary care to Las Vegas, Nevada and surrounding areas. Please take a moment to contact us today, to learn more about our veterinary practice and to find out more information about how Rainbow Animal Hospital can serve the needs of you and your cherished dog, cat, or small animal. Our philosophy is based on a teamwork attitude, with emphasis on communication and continuing education to ensure compassionate and progressive veterinary care. We feel that our clients deserve to receive excellent customer service, and strive to provide it by exhibiting genuine care and sensitivity during each interaction. We promise to provide you, the client, with a fun and personalized experience. We are not just here for your pet. We are here for you! Born in Upstate New York, Dr. Patton has considered Las Vegas his hometown since 1962. By Vegas standards, that makes him practically a native! Dr. Patton is a graduate of Rancho High School, where he met his wife and co-owner, Erna. He attended the University of Nevada Las Vegas (UNLV) with an interest in wildlife management and medicine and graduated in 1976 with a dual Baccalaureate in Biology and Zoology and a minor in Chemistry. He decided to combine his interest in both fields, and was accepted to Colorado State Universityâs School of Veterinary Medicine. Dr. Patton graduated Colorado State University with his Doctorate of Veterinary Medicine in 1980, and decided to return to his hometown of Las Vegas. "With parents, 3 brothers, and 1 sister, there was a practice just waiting for me". In 1983 he did just that and became the proud owner of Rainbow Animal Hospital. Many years later Dr. Patton continues to be on the cutting edge of veterinary medicine, keeping his hospital supplied with the latest technology. In addition, he is a big advocate of his team members attending continuing education classes. His special interests include veterinary dentistry, cardiac disease, laparoscopy and ultrasonography. He also has a special interest in working with the wonderful clients who rescue those beautiful gentle Greyhounds. Dr. Patton is a member of the American Veterinary Medical Association, the Nevada Veterinary Medical Association, the American Animal Hospital Association, and the American Veterinary Dental Society. He was also honored by Las Vegas Life magazine out of over 300 veterinarians, as one of the cityâs best vets and has received numerous nominations from his clients for Pet's Best Insurance's annual "My Vet's the Best" contest. When not attending a continuing education class somewhere he can be found enjoying photography, especially wildlife photography, hiking, and in general loving the great outdoors. He also enjoys going to the gym (a necessity being over 50), reading, and going to the movies. He and Erna have two daughters, Lindsay, and Jordan. "It has been wonderful seeing our two girls grow into the beautiful individuals they are today". Rounding out the roster of pets includes canines: Penny Lane, the Golden Retriever, and felines Finley O'Patton, and Shelby, his wife's soul mate. "I truly love my profession. Each day brings new challenges. Like the day Maggie, a Labrador Retriever, was brought in after someone saw her swallow a golf ball at the driving range. Radiographs revealed that these had become something of a regular dietary supplement. Six were surgically removed from her stomach. She has since then entered rehab, and is now the spokes dog for GBEA, Golf Ball Eaters Anonymous". "If you are fortunate enough to have a companion pet that lives to be 16-20 years of age, remember he or she is equivalent to a 90-100 human being, and you are a fortunate soul indeed". Dr. Elizabeth Wolf has been a member of our professional staff since 1999. Las Vegas born, and Mid-West raised, she grew up in Missouri. She attended the University of Missouri-Columbia (Mizzou) where she graduated in 1993 with a Baccalaureate of Science in Biology, and a dual minor in Chemistry and French. She received her Doctorate of Veterinary Medicine in 1997 from the University of Missouri-Columbia. When she began college it was Dr. Wolf's desire to go into research. She soon realized that meant a whole lot of time watching fruit flies breed, or the equivalent. Her journey led her to a volunteer position at Noah's Ark Animal Hospital in Columbia, Missouri where she spent long hours doing kennel work and multiple flea and tick bathes for free. There, she found her calling, and loved it. When she learned she could combine the hands-on work with medicine and surgery, she decided a career in veterinary medicine was for her. The following year she was accepted into the school of veterinary medicine and years later is still following her professional passion. Her special areas of interest include anesthesiology, pain management, dentistry and feline medicine, including feline rescue. She has the honor of holding the unofficial title of the Rainbow Cat Pimp! Dr. Wolf is a member of the American Veterinary Medical Association, a National Public Radio member, a member of the Ultimate Players Association, and a proud card carrying member of the Mizzou Alumni Association. In 2003 the former Elizabeth Steininger met and married Eric Wolf, and today are the proud parents of Eileen and Gabe. When not doting over her son and daughter, Dr. Wolf enjoys swimming, hiking, cycling, downhill skiing, yoga, and is a voracious reader. The Wolf Family also share their home with kitties Ninja Black and Salmon. Born and raised in the beautiful city of Littleton, Colorado, associate veterinarian Alric Vensand moved to Fort Collins, Colorado to attend Colorado State University. He received his Baccalaureate of Science in Microbiology in 2003. Fulfilling his lifetime ambition of becoming a Veterinarian, he received his Doctorate of Veterinary Medicine from Colorado State University in 2007, and decided to relocate to Las Vegas, Nevada where he became part of our talented professional team. Dr. Vensand is a member of the American Veterinary Medical Association, and his medical passion lies in internal medicine, neurology, endoscopy, and laparoscopy. He feels fortunate to be part of this profession, as it is truly an amazing profession. He feels every day brings new challenges, and the chance to help his patients and their quality of life with their human family members. Dr. Vensand and his wife, Kim share their home with Monty (a German Shorthaired Pointer), Abby (a Cairn Terrier Mix), and their two felines, Suzie (the boss of the house), and Jack. In their spare time Dr. Vensand and Kim enjoy going to movies, hiking, and traveling (their favorite destinations are Colorado and Disneyland). Dr. Bercier grew up in Lafayette, Louisiana before going on to earn her Bachelor of Science degree from Tulane University in 1993 and then graduating from Louisiana State University with a Doctorate of Veterinary Medicine in 1997. That same year, she moved to Las Vegas, NV to start her veterinary career. After many years in general practice, Dr. Bercier decided to pursue her special interest in Animal Physical Therapy, and earned her Certification as a Canine Rehabilitation Practitioner from the University of Tennessee College of Veterinarian Medicine in Dec of 2015. We first met Dr. Bercier long before joining our team, as she offered exceptional overnight/emergency care to our patients while working at a nearby emergency hospital. She has also spent time in specialty practice and has had years of experience offering veterinary relief services to animal hospitals across the valley. Dr. Bercier's four legged family members include two felines. In her free time, Dr. Bercier enjoys hiking, backpacking, rafting - any outdoor adventure she can find! Erna Patton has been married to not only her best friend, but also co-owner, Dr. Neil Patton since 1975. Being one of the few actual native Las Vegans, they met at Rancho High School, and were later married while attending UNLV. In 1976 their life's journey took them to Fort Collins, Colorado for Dr. Patton to attend Colorado State University School of Veterinary Medicine. "I feel fortunate to have been a part of that process, and saw firsthand and respect the amount of dedication it takes to obtain your DVM degree. My style of business management is quite simple. If there is a major financial decision to be made, I first consult with the two Chairmen of the Board. If they are either eating or napping (95% of the time) then I resort to the time honored Harvard Business School approved method of Rock, Paper, or Scissors. Dr. Neil and Erna have been blessed with two amazing daughters, Lindsay and Jordan, and a houseful of sometimes less than amazing 4-legged kids, especially when one of them leaves a "present" on the floor. Currently residing in the Patton home are: Penny Lane, the crazy Golden Retriever, Finley O'Patton the cat, and the most precious soul in the feline world, Shelby. In what little spare time Erna has she enjoys reading, gardening, spending time with her family, going to the movies, especially dumb comedies, and trying to squeeze out an extra hour or two of the day to walk/run with their Golden. "My favorite quote is by Camus. It is: Live to the Point of Tears. In this profession sometimes they are tears of sadness, when we have to say good-bye to one of our long time patients, but mostly they are tears of joy. Jeanne has been an integral part of Rainbow Animal Hospital since 1986. Jeanne was born and raised in the suburbs outside of Philadelphia. She attended Harcum College in Bryn Mawr, PA, and was 2/3 of the way in completing her Associates degree in Animal Health Technology when she met "the boy". In 1986 she and Sean moved to Las Vegas. They are the pround parents of teenage daughter, Brynn. As a child Jeanne's parents were involved in the pet care industry. She always loved helping out when one of the pups had to go to the Vet, and thought she might like to be involved in the medical aspect of animal care. Little did she know at the time that one day she would manage a large successful practice. Also, at that time, she was not aware that her life would be blessed to have in it a beautiful domestic long hair kitty for 21 years, Miss Manny. She was Jeanne's first pet as an adult, and her first child, with a personality as unique as her looks. Miss Manny crossed over the "Rainbow Bridge" in late 2007. Because of this once in a lifetime bond they shared, Jeanne is very cognizant of the human-animal bond, and the role the Veterinarians and the supporting healthcare team provide in managing a pet's quality of life. In Jeanne's spare time she enjoys cooking, reading, listening to music, watching movies (or catching up on dvr'd shows!) and making great memories with family and friends. True to the occupational hazard of working at a veterinary hospital, Jeanne, Sean, and their daughter Brynn share their home and an industrial strength vacuum with four cats: Momma, Prince, Twisty, and Thombrady. Since 1999, Dan has been Rainbow Animal Hospital’s lifeline to technology. Born in Shreveport, Louisiana, his career in the Army brought him to Las Vegas in 1989. As the hospital’s Operations Manager, he is literally responsible for maintaining the working knowledge of every piece of equipment on premise. He is constantly excited and amazed at the technology that is being rapidly introduced into the field of Veterinary Medicine on a daily basis. Equipment and procedures, such as digital radiography and endoscopy, that not to long ago, were only available on the human side of medicine are today considered the gold standard of care in Veterinary Medicine. Dan has been instrumental in implementing those procedures and the equipment required to our practice. One minute you’ll find him troubleshooting a $50,000 piece of surgical equipment, the next minute, explaining to Erna that the reason she can’t hear sound from her I-Pod player is because she doesn’t have the volume turned on. He certainly earns his much deserved time off as he runs the gauntlet past Erna’s desk, Jeanne’s desk, then past Dr. Patton’s desk without hearing, "Dan, do you have a quick moment"? When he's not busy making sure the practice is running smoothly, Dan enjoys camping, hiking, music, and after recent adventures to Maui, Hawaii, is learning to play the Ukulele. Being the Renaissance Man that he is, Dan claims to no children, but has birthed several wonderful vacations! Married to Carolyn since 1999, their home is filled with the pitter-patter of their teeny tiny chihuahua-mix, Minkie. Dan lives by the philosophy that "the only people with whom you should try to get even are those who have helped you". If only everyone could see the world that way, as Louis Armstrong sung…"What a wonderful world". As Manager of the Licensed Veterinary Technicians, Techs in Training, and Veterinary Assistants, Ann has been a valued Rainbow healthcare team member since 1994. She holds the honor of being one of the first graduates of the accelerated Veterinary Technicians program at the College of Southern Nevada. Being a native California "Valley-Girl" from Lancaster, California, she married her high school sweetheart, Chris, and moved to her newly adopted hometown of Las Vegas. After 14 years of marriage, and 10 years in the making, Ann and Chris received their true blessing. They are the proud parents of one very handsome young son, Taylor. Keeping Chris, Ann, and Taylor in line is one crazy Pekingese named "Wookie", whose talent is bringing you her squeaky toys, and being able to identify all of them, and "Spotter" the rabbit. Ever since Ann was a little girl she would be the one bringing home the wounded bunny, bird, or stray animal and would nurse them back to health. She still maintains that passion in her adult life as she assists Dr. Patton in his laparoscopies and procedures. She also holds a special interest in dentistry and feline medicine. In fact, it was Ann that took two very tiny abandoned kittens home every night and tube and bottle fed them every 2-3 hours until they were able to eat on their own. Those two rascals grew up and became Dr. Patton's cats! In the little spare time a working Mom has, Ann enjoys camping, cooking, and motorcycle riding with her family and friends. True to Ann's philosophy, she believes animals are not just pets. They are family. In fact, many say they are their children. She is devoted to helping them live longer and healthier lives as part of our family members. Marie has been a member of the Rainbow healthcare team since 2005. She is another great example of the College of Southern Nevada's Veterinary Technicians program. Born in Santa Clara, California, she moved to Tonopah, Nevada in 1987, and considered Tonopah her hometown until 1998, when she moved to Las Vegas to pursue her education. She has always had a love of medicine, and began her medical career as a CNA, on the way to becoming an RN, when she had an epiphany! It came to her that perhaps she liked animals a little more than humans. She has a special interest in the study of parasites and microbiology, and wound management. When not keeping us in line at the hospital, she enjoys fishing and relaxing with her family. True to the fisherman's creed: Any day fishing is a good day! She shares her life with her awesome daughter, Ronnie, and her wonderful significant other, Frankie, along with Dozer, the mystery (Basset perhaps?) mutt, Ringo, a mixed breed terrier puppy, and Bam the cat! To quote Ralph Waldo Emerson, "Happiness is a perfume you cannot pour on others without getting a few drops on yourself. We are fortunate to have a team member with that positive outlook on life. LVT, Tracy joined the ranks of our liced veterinary technical staff in October, 2011. Born and raised in Las Vegas, Tracy grew up in a home that always had cats around; her sister would never miss an opportunity to bring in a friendly stray to add to the family. Ever the animal lover, Tracy aspired to become a licensed veterinary technician, and decided to enroll in the Veterinary Technology Program at the College of Southern Nevada. She can usually be found in the back office, tending to patients in need, assisting the doctors in surgery, and performing dental cleanings. Tracy is a fan of movies, hiking, traveling, dancing, and shares her life with her significant other, Zach and their three furry family members: kitties "Lucifer", and "Puff Daddy", and pug-mix, Bella. She lives by the mantra: "Something's lost, but something's gained in living every day". Lindsay has been part of the Rainbow Animal Hospital family, and coincidentally also part of the Patton family since birth! As urban legend goes, (aka: her Mom) when most newborns are discharged from the hospital, their first stop is their home with their beautifully decorated nursery, and adoring family members waiting to meet the newest member of the family. Well, being a Vet’s kid, Lindsay’s first stop was Rainbow Animal Hospital. Dr. Patton had a critical patient he needed to check on, and because there is no such thing as a "quick check" Lindsay also received her first feeding, and diaper change during that visit. Thanks to the staff, when they knew Dr. Patton and Erna were on their way in, as the new parents walked through the back door of the clinic, looking "guinea-pig scared" holding this tiny baby they were greeted with balloons, cake, champagne, and a box of "it’s a girl" cigars. Today Lindsay is one of our seasoned customer service representatives. Lindsay attended Shiloh Christian School, Faith Lutheran, and graduated from the College of Southern Nevada High School, and attended the University of Nevada, Reno. In 2008, Lindsay met her soul mate, Lambo, and they married in October 2011. Their furry family includes Kelsey, a beautiful black and white cat with huge green eyes, Jackie, an adorable but mischievous kitten, whose hobbies include getting into everything and wrestling with Kelsey, and their two Pomeranians Louie, and Dante. When not at the clinic or school, Lindsay enjoys shopping…duh! reading, hiking, video games, spending time with friends, going to the movies, but much to her Mother’s chagrin, not comedies, but the horror genre. Growing up as a Vet’s kid, Lindsay has seen firsthand the tragic outcome that results of not spaying or neutering your pet, both in the overpopulation of unwanted pets, and the medical conditions that result from not performing this routine procedure. Her philosophy in this situation is; if you are thinking of adding to your family, please visit the shelter first. There are many friendly happy faces, most of which are already spayed, neutered, and vaccinated just begging to be part of your family. Both of her cats are rescued cats, and are her pride and joy. After earning an Associates Degree at Chaminade University in Honolulu, Hawaii, Elena spent several years serving in the United States Armed Forces before moving to Las Vegas with her family. 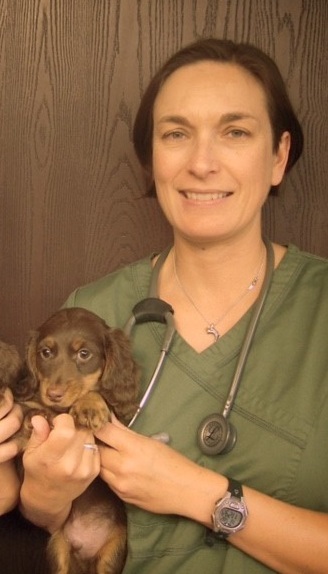 Elena joined the Rainbow Animal Hospital health care team in 2001, and is our senior animal care provider. She is the mother of a beautiful daughter Hope, who was in the National Junior Honor Society for three years in high school, and is now attending college. Over the years, Elena has been known to stay up around the clock nursing abandoned kittens back to health and finding homes for any stray fuzz balls that come her way. She has had more than her fair share of "special needs" pets of her own – including a dog who had both eyes removed and a cat who had to receive fluids every week to combat kidney failure. Any animal residing in Elena’s home is a lucky one indeed; the dedication she has to caring for her pets is phenomenal. Her current menagerie consists of both feathers and fur, with two cats, two cockatiels, two parakeets, and Shih Tzus George, and Gracie (all rescues!) ruling the roost. Ever the animal lover – in her free time, Elena enjoys anything that can be done with her pets and her daughter at her side. Animal care provider, Toni was born in Detroit, Michigan and moved to Las Vegas when she was eleven years old. Despite her dislike for warm weather, Toni has remained in the valley with her husband of over twenty years, and two beautiful children, affectionately nicknamed "Sissy" and "Boo." After raising her human and numerous four-legged kids, Toni began to go a little stir crazy (lucky for us!) and decided to pursue a part-time position as an animal care provider. Since she is a natural at taking care of any living thing, she was a perfect candidate for feeding, watering, walking, and fawning over our patients. The members of her family that have tails (the only ones, we hope!) include Candycane the Papillon princess, Chico the Staffordshire Bull Terrier, one very long "tailed"critter…….. Trinity, the corn snake. In the feathered department is "Bird" the dove. Toni has an especially close bond with Candycane. She was a regular boarding patient at the practice Toni previously worked at, and Toni always looked forward to her visits. It was love at first sight! In 2005, Toni’s mother, with whom she was very close, passed away. After struggling with her mother’s passing, Toni was approached by Candycanes owners who were moving away and could not keep her. They knew how much Candycane meant to Toni, and wanted Toni to have her. In her heart, she feels that Candycane was a gift that was sent to help her through the most difficult time of her life. Toni has an interest in forensics, and enjoys reading books and watching documentaries about the subject. She also likes to study various religions and takes pleasure in reading novels by the psychic, Sylvia Brown. Her very favorite activity is spending time with her two human grand-babies. Toni's favorite words to live by are: "Be the person your dog thinks you are." Just Jack came to be part of our Rainbow family under tragic circumstances, but with a happy ending. He was out for a mid-day stroll when he was confronted by a group of hooligans. They taunted and teased him then grabbed him by his front legs and started swinging him around like a rag doll. A Good Samaritan, or as Jack likes to refer to her, his Guardian Angel, came to his rescue. She gave the teenage boys a good tongue lashing, and then brought him into Rainbow for emergency care. After recovering from shock and several lacerations a decision needed to be made concerning his right front leg, which was shattered. The doctors at Rainbow and 2 board certified orthopedic surgeons all agreed his leg could be amputated, or left alone and used as a crutch when he walked. He was not in pain so his leg was left attached, and he has a built in crutch. "I don’t know why I was named Just Jack, except at the time there was a show on TV called Will and Grace, and let’s face the truth. I do LOVE my brother from another mother, Jimmy James very much". When not in a management meeting, or intervening when Rock, Paper, or Scissors takes an ugly turn, he can be found visiting the staff lounge looking for a handout, or laying in the sunshine by the doctor’s desk. Now that he's reached his golden years, he spends much of his time convalescing at his summer home in California, but he still comes in from time to time to see that the office is running smoothly. In spite of his early encounter with humans that did not go well, Just Jack is full of love, and wants nothing more than to sit on his humans' laps and give sandpaper kisses. He is an absolute joy to be around, for all of the Rainbow team.